The best way to remain informed about my work is to subscribe to my mailing list. 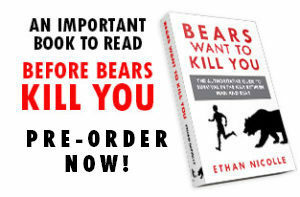 You get a free PDF of Bearmageddon Vol. 1 when you join. I promise I won’t sell your info and I don’t email that often. It’s really me. If you get an email, feel free to reply, I will usually answer. Please enter email address below to stay on the cusp of my work!